Apple's CEO had plenty to say during the company's call, including comments about iPad sales, VPN app sales in China, and an artful dodge about a statement by U.S. President Donald Trump. 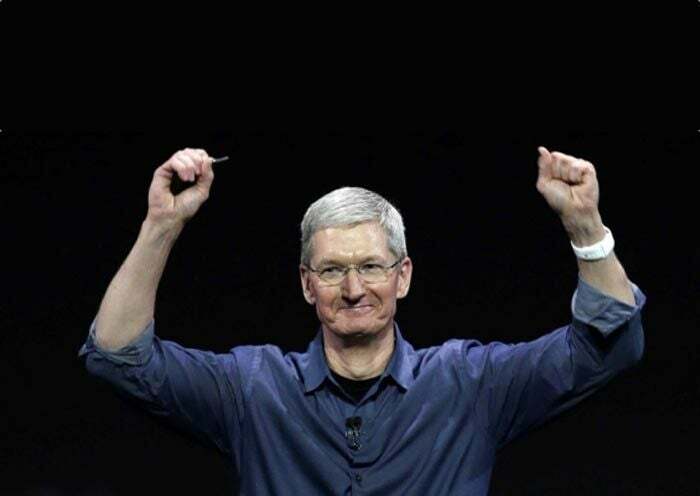 Every 90 days there’s a new Apple financial quarter, a new raft of federally-mandated financial disclosures, and another hour-long conference call that lets us hear Apple CEO Tim Cook (and CFO Luca Maestri) take questions from inquisitive Wall Street analysts. On Tuesday, Apple announced its quarterly earnings and followed it up with that exciting phone call. (If you’d like to read a complete transcript, I made one.) Here are seven highlights that I gleaned from Apple’s quarterly exercise in extremely limited disclosure. For the first time in a while, Tim Cook didn’t have to express publicly his belief that everything will be just fine with the iPad. That’s because, for the first time in three years, iPad sales grew when compared to the year-ago quarter. 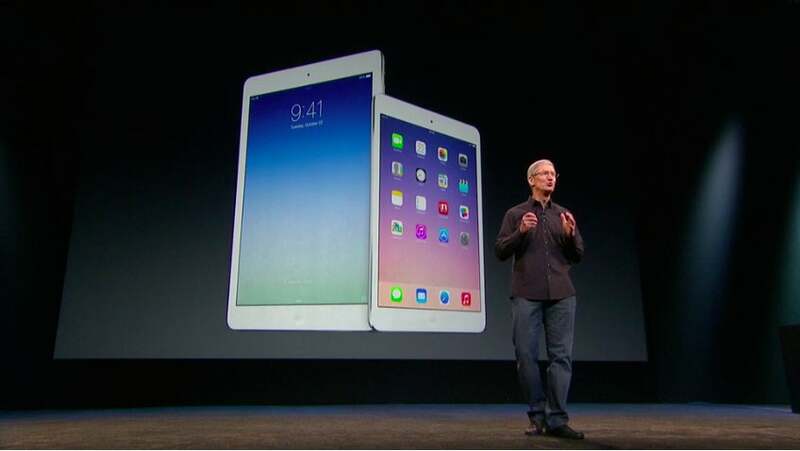 Cook even said the iPad has “a lot of momentum,” not something that anyone’s said lately. Bottom line: iPad sales were up and grew across all of Apple’s geographic segments. According to Cook, more than half of iPad sales in China and Japan were to first-time iPad buyers, and in the U.S. education market, iPad sales were up 32 percent versus the year-ago quarter. The Apple Watch isn’t a large enough product to require its own disclosure line in Apple’s financial results, so it’s rolled into the Other Products category and we’re left guessing about how well it’s doing. Other Products had a good quarter, which suggests it was a good quarter for the Apple Watch, unless there was a shocking flurry of Apple TV sales. (There wasn’t.) 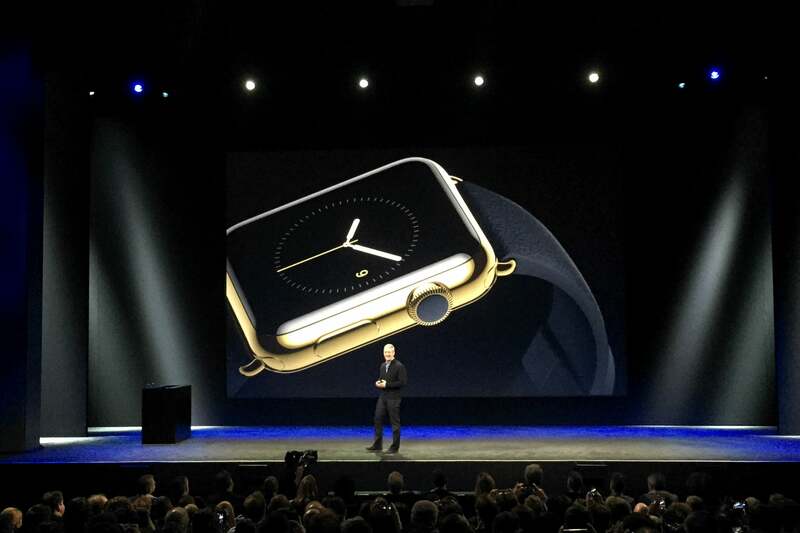 Cook gave a little more detail during the analyst call, saying that Apple Watch sales were up 50 percent—presumably over the year-ago quarter?—and that it’s the top-selling smart watch in the world “by a very wide margin.” How many Apple Watches does that mean? How many of them are now out in the world? We can only make educated guesses. Have you seen all those videos of demo apps that developers are building using the new ARKit frameworks Apple unveiled at WWDC in June? 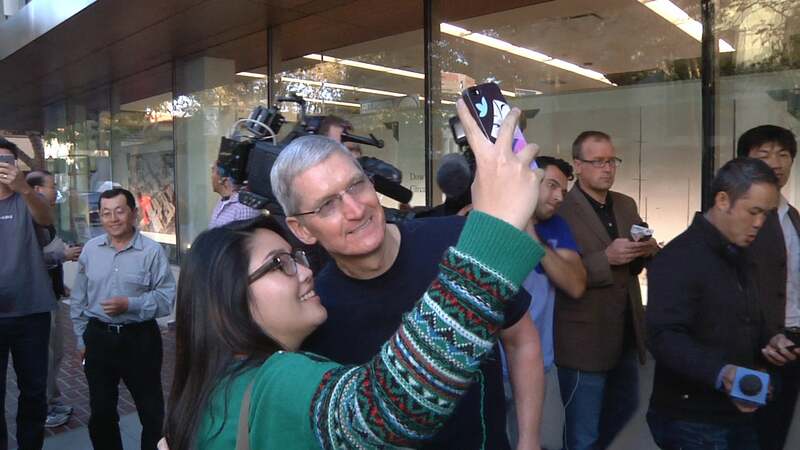 Tim Cook has too, and he’s really excited. “Just take a look at what’s already on the on the web on terms of what people are doing, and it is all over the place, from entertainment to gaming,” he said. 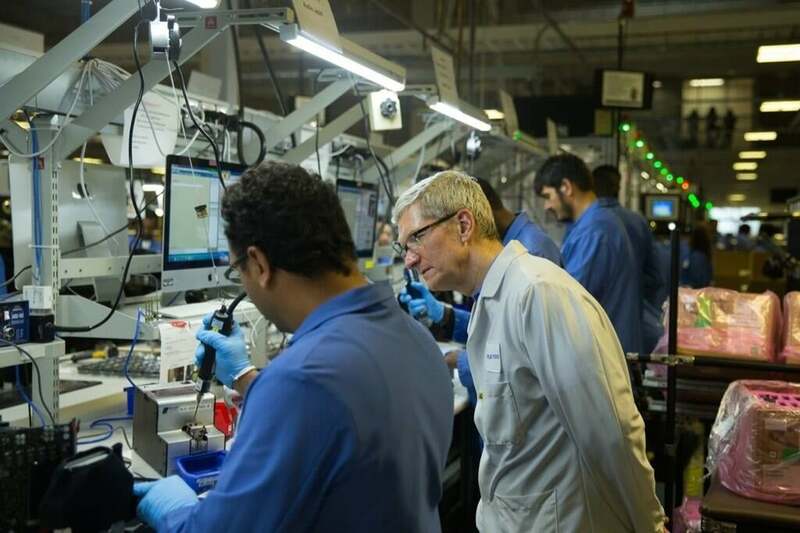 For all the worry about Apple potentially releasing a third iPhone this fall with plenty of souped-up features and a higher price tag, nobody seems to be mentioning the curious case of Apple’s iPhone product mix lately. In this latest quarter, the average selling price of an iPhone increased to $606. According to Maestri, that’s because there’s strong demand for the iPhone 7 Plus, which represented a higher percentage of the product mix than the 6S Plus did last year. Apple never breaks down the sales of individual iPhone models, but it’s clear that the larger, more expensive phones are selling better than ever—and perhaps even better than Apple anticipated. That might be an indication that iPhone customers are plenty willing to pay for bigger or better technology. To hear Tim Cook tell it, Apple’s sales in China were flat “if you look underneath the numbers.” (Be sure the numbers give consent first.) Cook blamed Hong Kong, saying it was continuing to “drag down” the rest of the China segment, and he didn’t sound optimistic about that changing. Cook was also a asked about WeChat, because lately there’s been a lot of analysis that since Chinese users love WeChat as a platform, and it’s basically the same on iOS and Android, it’s a liability for Apple—because switching platforms isn’t a big deal if all you care about is WeChat. Cook flipped the story, suggesting that since Apple doesn’t have anything remotely approaching a majority of the phone market in China, the pre-eminence of WeChat meant Apple had an opportunity to more easily convert people to the iPhone from Android. That’s an interesting bit of spin. The other day the President of the United States told the Wall Street Journal that Apple was building “three big, beautiful plants” in the United States. People in the know responded: Say what now? Fortunately, analyst Steve Milanovich of UBS asked Cook directly about it on the call Tuesday. So perhaps those three big, beautiful plants aren’t ones Apple’s building—but perhaps they’ll be built by manufacturers Apple is investing in. Almost every analyst call, someone tries to trick Apple’s executives into revealing all their secret plans. (No need—Apple’s firmware team is on the case.) This time it was RBC Capital Markets’ Amit Daryanani, who essentially asked if we should believe “blogs and... component suppliers” that the new iPhone might be delayed, despite Apple’s solid revenue forecast for the current quarter, when the iPhone has traditionally gone on sale. “We have no comment on anything that’s not announced,” Cook said. The microphones in Cupertino picked up an entire roomful of Apple executives laughing out loud. It’s only fair that they get something out of these analyst calls, too.